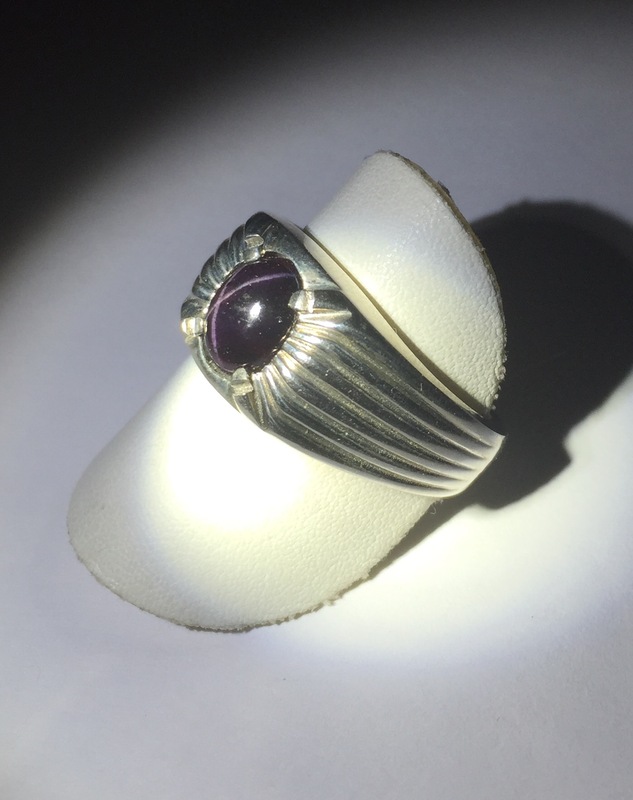 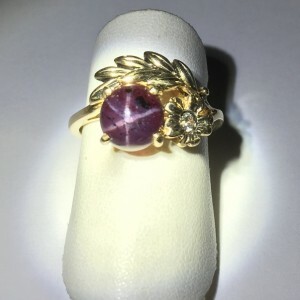 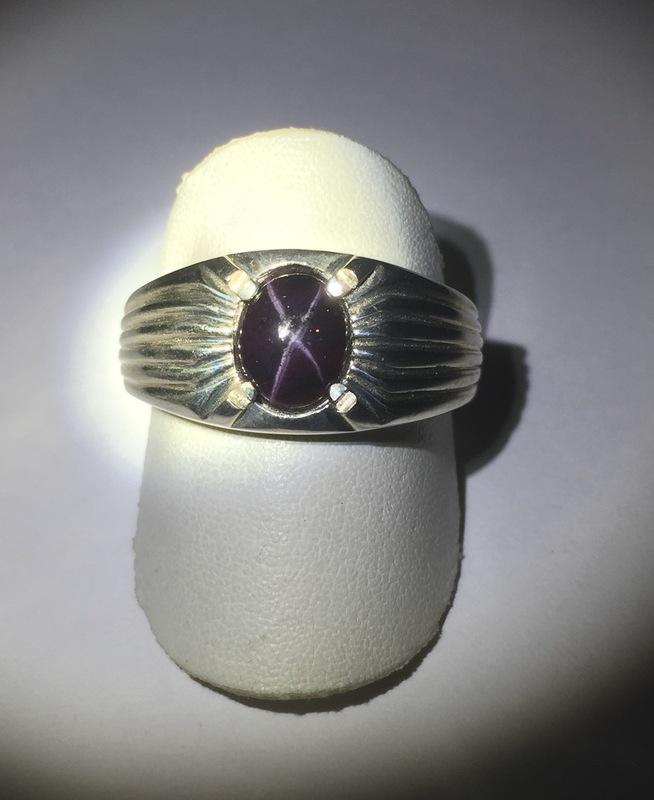 Great low profile Star Garnet gents ring in sterling silver. 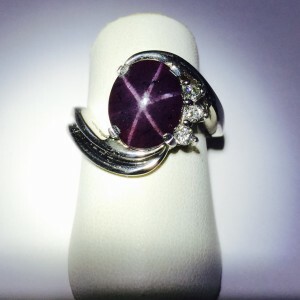 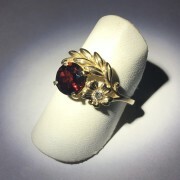 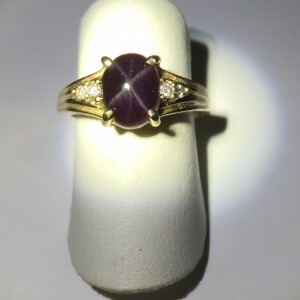 The Star Garnet is a 9×7 oval with a bright four ray Star Garnet. 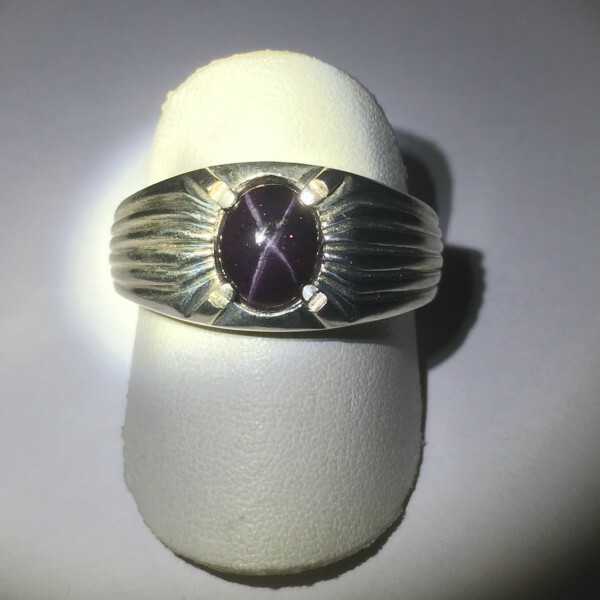 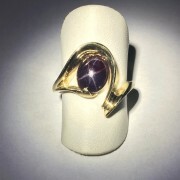 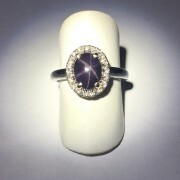 This mounting is in sterling silver and has a low profile stone and mounting so it sits closer to the finger. 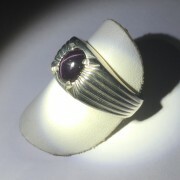 The sides of the ring shank have a nice stripe pattern, very handsome ring. 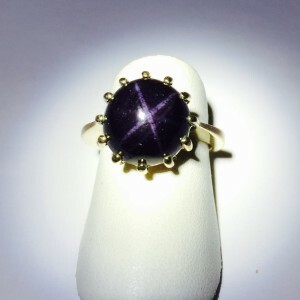 We will call this ring the star and stripe ring.